Retail businesses have spent millions of dollars on the psychology of product placement and shopping. When setting up your exhibit booth it takes more than haphazardly placing your products in trade show display cases. Exactly how and where you place your products can make a big difference in the amount of sales that come from your trade show or convention. 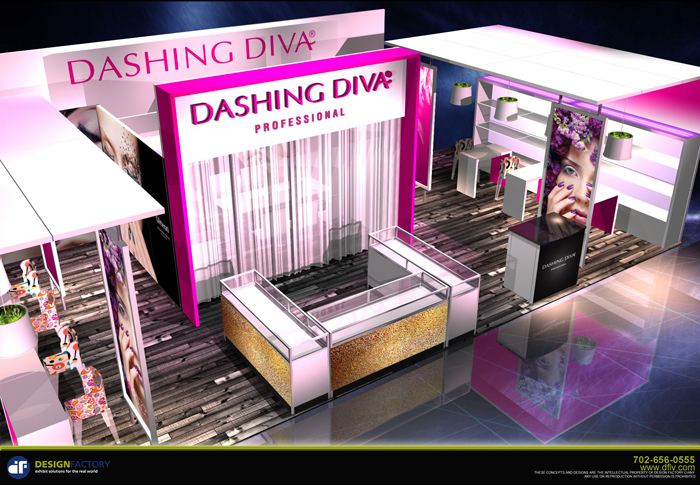 Dashing Diva Trade Show Exhibit with display cases. This modern and inviting exhibit was designed and built by the Design Factory. Choosing the right trade show display cases for your exhibit booth and product placement is crucial so that you can show off your products in the best possible light. There are many different considerations and each situation is different and unique. You may have to do some comparisons in order to come to the best decision for these display items. You could simply order the first cases that you see, and reason that your products will be displayed so it does not make a difference. You will go to a lot of time and expense to exhibit at an event though, and you want to get the most out of this investment. That means understanding all of your options for each aspect and then making informed choices. Do the Trade Show Display Cases Provide Enough Room for Your Products? You will find trade show display cases in all possible sizes and configurations, and some may hold a lot more than others may. Shelving needs to be wide enough and tall enough to allow your products to be seen in full view. If there is not enough room for the products that you want to display, your cases could look crowded and unprofessional as a result. Limiting the amount of products displayed can work to your advantage. Giving too many choices can confuse potential buyers and result in indecision. The easier a brand makes the purchase-decision journey, the higher its decision-simplicity score. When it comes to product placement, eye level is ideal in most situations although this is not always true. Look at where your products will be when you choose the desired trade show display cases, and take a step back to view the overall effect with a critical eye. If your products are low to the ground visitors may not even notice them. Will the Cases Allow Display Signs? One consideration that is often overlooked with trade show display cases is the ability to allow display signs. This may be important with your product placement so that you can include prices and benefits for each product that you are displaying. If you pick a case design that will not allow display signs you may have to rethink everything at the last second. Do you Want Open or Closed Case Style? When it comes to trade show display cases there are styles that are open and models that are closed. If you are concerned about theft but you do not want to remove your products each night then a case with a clear glass front and sliding panels which lock may be ideal for your booth area. An open booth is more accessible, and there are no panels to interfere with the view of your products. This can be as simple as a case that offers open shelves that are standard in size or appearance. You can also go all out and have cases designed that meet your exact specifications and preferences. How well do the Items Fit With Your Overall Booth Appearance? Consider how well the trade show display cases that you are considering will fit with the overall appearance of your exhibit booth and other display items. As well as being functional and giving you a space for product placement these items should be an extension of your exhibit, and their overall appearance needs to complement your booth. The overall design needs to be one that complements your company and that allows you to showcase your products in a very positive light, otherwise your time and effort will be wasted. 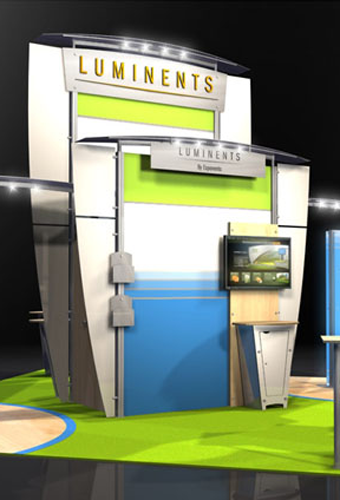 From our article, 5 Things You Should Look For With Conference Booth Displays. Read the complete article here. Are the Cases Too Large or Too Small for Your Floor Area? 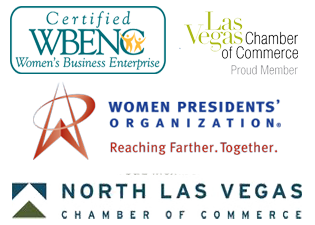 Think about the floor size that you have available, and then evaluate the size of the trade show display cases that you want to use. You may find that these items take up too much room, or you could decide that they are not large enough for the space that you need to fill. You want a display that is impressive and looks complete without being crowded. These are just some of the factors that can influence your decision on how to display your products and make them stand out, there are others as well. What trade show display cases do you use when you exhibit and why did you make this choice?